In 1924 the grand old battle cruiser HMAS Australia I, once the pride of the nation, was sunk off Sydney Heads. She had saved Australia from a German attack in the Pacific in World War I, but after the war she was a victim in the race to disarm. There was a day of national mourning when they blew the bottom out of her. In 1928 the RAN acquired a new ship of the same name, the fast, heavy cruiser HMAS Australia II, and she finally saw action when World War II began, patrolling the North Atlantic on the lookout for German battleships. By March 1942 Australia had returned home, where the ship was stunned by a murder. One night one of her sailors, Stoker Riley, was found stabbed and bleeding to death. 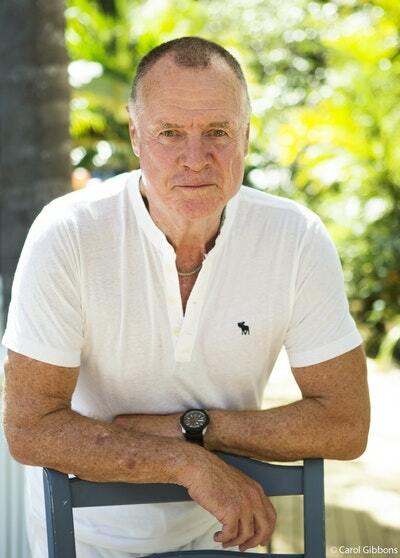 Before he died, he named his two attackers, who'd tried to kill him because, he said, he'd threatened to expose their homosexual activities. At a hastily arranged court martial, the two men were found guilty and sentenced to death under British Admiralty law. Only weeks later Australia fought in the Battle of the Coral Sea near Papua New Guinea, the first sea battle to stop the Japanese advance in the Pacific. She was heavily attacked and bombed from the air but, with brilliant ship-handling, escaped unscathed. In 1944 she took part in the greatest sea fight of all time, the Battle of Leyte Gulf, which returned the American General Douglas MacArthur to the Philippines. She was struck by a kamikaze bomber, killing her captain and 28 other men. The next year, she was hit by no fewer than four kamikaze planes on four successive days. She was, in fact, attacked by more kamikaze aircraft than any other Allied ship in the war, and in the end this finished her war. She retired gracefully, laden with battle honours, and was scrapped in 1956 – the last of her name, for the navy no longer uses Australia for its ships. 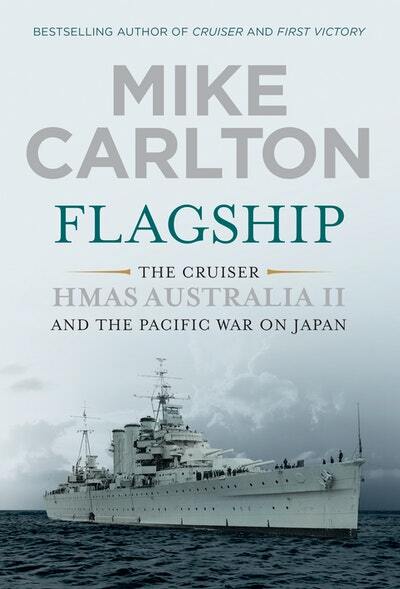 In this riveting book, with his inimitable panache and flawless research Mike Carlton tells the story of Australia, which encompasses the era's fascinating naval and social history. The terrifying Kamikaze threat to our flagship, HMAS Australia. Mike Carlton introduces the incredible story of the Flagship HMAS Australia II. 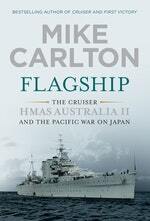 Breathtaking Australian naval histories told by journalist Mike Carlton. Love Flagship? Subscribe to Read More to find out about similar books.